Environment | Bits of life . . . Bits of life . . .
After decades of growth, global CO2 emissions plateaued between 2014 and 2016, and there were hopes they had peaked. But fossil fuel emissions rose by 1.7% in 2017 and are set to rise 2.7% this year, to 37.1 billion tonnes of carbon dioxide (CO2), according to figures published today. There is a 75-80% chance of a climate-warming El Niño event by February, according to the latest analysis from the UN’s World Meteorological Organization.The last El Niño event ended in 2016 and helped make that year the hottest ever recorded by adding to the heating caused by humanity’s carbon emissions. The 2019 event is not currently forecast to be as strong as in 2016. Last month, the Ocean Cleanup foundation launched the world’s first ocean cleanup system out of San Francisco to take on the notorious “Great Pacific Garbage Patch,” a giant floating trash pile between San Francisco and Hawaii that is twice the size of Texas. It’s the largest of five ocean trash piles on Earth. Climate change may bring with it a grim harm: Researchers report that rising temperatures might trigger a spike in suicides in the United States and Mexico. “When talking about climate change, it’s often easy to think in abstractions. But the thousands of additional suicides that are likely to occur as a result of unmitigated climate change are not just a number, they represent tragic losses for families across the country,” said study author Marshall Burke, an assistant professor of earth system science at Stanford University. The “dog days of summer” take place between July 3 and August 11th. They are named after the Dog Star (Sirius) in the Canis Major constellation. The ancient Greeks blamed Sirius for the hot temperatures, drought, and sickness that occurred during the summer. If you’ve been to a beach this summer, anywhere from Texas to the Carolinas, you’ve likely seen it. Masses of brown seaweed, sometimes a few clumps, often big mounds, line the shore. 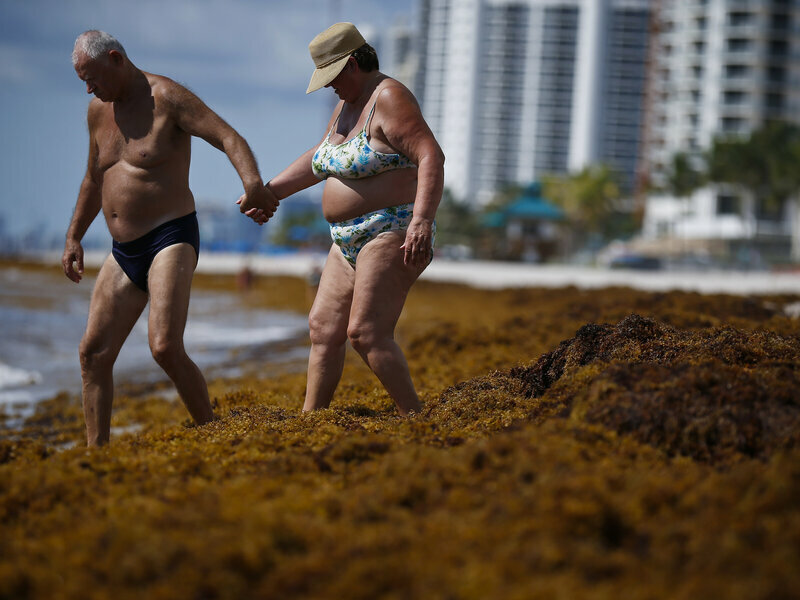 It’s sargassum, a floating weed that’s clogging bays and piling up on beaches in the Gulf and Caribbean. Suicides are surging among America's troops, averaging 22 a day — the fastest pace in the nation's decade of war. Obesity is expensive — nationwide, treating obesity-related illnesses costs doctors and hospitals around $190 billion a year.